Unhappy customers rarely complain directly to the business providing an inferior product or service. Instead they tell other people, all of whom are potential customers themselves and may well pass on the details to their own circle of friends and work colleagues. Add in social media (Facebook, Twitter, etc) and hundreds if not thousands of people will hear about the business’ poor reputation. 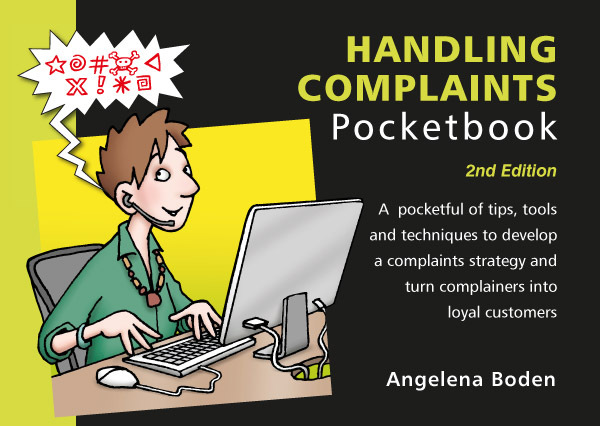 The Handling Complaints Pocketbook sets out a strategy for managing customer complaints in a way that will lead to an improved customer experience and, ultimately, a more successful business. It looks at the vital role good communication plays in this, beginning by clarifying the reasons why people complain and describing the ways in which they make their feelings known. A clear and consistent approach to dealing with customer grievances is key and this can only be achieved by developing a complaints handling policy, one that establishes the mechanisms for people to complain, how complaints are monitored, logged and analysed, who is responsible for dealing with the complaints and what procedures they must follow. The pocketbook also explores ways to use transactional analysis techniques to defuse anger and keep conversations on track.